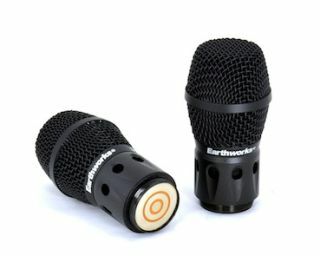 After 14 months of development, the Earthworks WL40V Wireless Vocal Microphone Capsule is now shipping. The WL40V is a wireless microphone capsule head suitable for use in a variety of live sound applications. The capsule head has a three ring bulls-eye connector and is interchangeable with any of the screw-on-type handheld transmitters that receive a 31.3 mm / pitch 1.0 mm. Designed for live performance, stage and broadcast use, the WL40V delivers a detailed and realistic vocal sound that requires little to no EQ. Its hypercardioid polar pattern and extended flat frequency response contribute to a natural on- and off-axis performance coupled with clarity and detail.